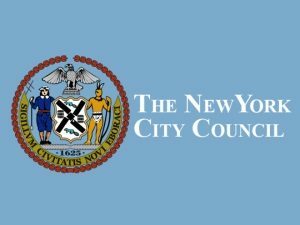 The New York City Council is pushing legislation, Intro.1253, that would limit the carbon emissions by 80% (by 2050) from buildings throughout the city. Unfortunately, these new rules do not give adequate consideration to the unique power requirements of broadcasting. Our production studios and newsrooms operate 24/7. Moreover our transmitters use significant amounts of power. Our concern is that our power needs could cause buildings to exceed these emissions, thereby exposing stations and building owners to possible fines. Last week were in New York City meeting with members of the New York City Council. Our mission was to inform the Council about the unique aspects of broadcasting. We are “First Informers During emergencies” and provide life-saving information during events such as 9/11 or Superstorm Sandy. Every day we provide news programming that is essential for all New Yorkers. The City Council wants to enact legislation by Earth Day. We will keep you informed as the process develops. To see a copy of our memo that was sent to the entire NY City Council click HERE.